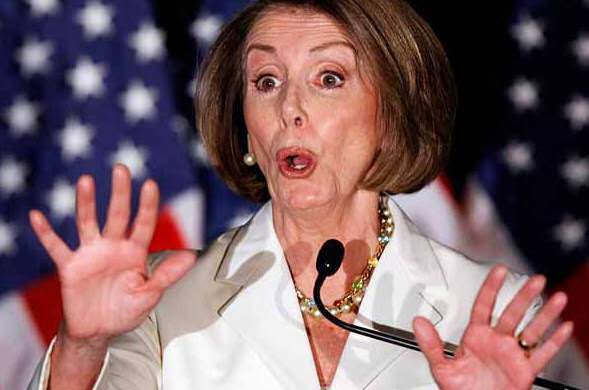 House Speaker Nancy Pelosi, who on Monday defended Joe Biden after two women complained about him touching them inappropriately, changed her tune on Tuesday. “Join the straight-arm club,” Pelosi said in advice to Biden during a Washington breakfast event on Tuesday. “Just pretend you have a cold and I have a cold,” the California Democrat said. The Speaker said Biden “has to understand that in the world we are in now people’s space is important to them and what’s important is how they receive it, not necessarily how you intended it,” the Associated Press reported. Meanwhile, Democrats running for president, have not defended Biden. Former Colorado Gov. John Hickenlooper, also a 2020 candidate, said Biden’s actions were cause for concern. “Certainly, I think it’s very disconcerting and I think that women have to be heard and we should start by believing them.” And another candidate, Sen. Amy Klobuchar of Minnesota said she has “no reason not to believe” Flores. “I think we know from campaigns and politics that people raise issues and they have to address them, and that’s what he will have to do with the voters if he gets into the race,” she said on Sunday. “In a statement on Monday, Biden spokesman Bill Russo blasted ‘right wing trolls’ from ‘the dark recesses of the internet’ for conflating images of Biden embracing acquaintances, colleagues and friends in his official capacity during swearing-in ceremonies with uninvited touching,” the AP wrote.